Every dog owner knows the telltale look of a dog who did something it wasn’t supposed to do. You know she did something she shouldn’t have done and, seemingly, she does too. Since you’re a human being, you see that look and ascribe a common human emotion to it: guilt. All the logic lines up: Your dog was left alone, did something they weren’t supposed to do (that they know better than to do), and when they’re called on it, their face says it all. Perhaps you’re already saying “No! Bad dog! Bad dog!” or some variation thereof. The truth is, despite your logical summation, the dog isn’t feeling guilt. Instead, they’re expressing a much more common, less complex emotion: fear. 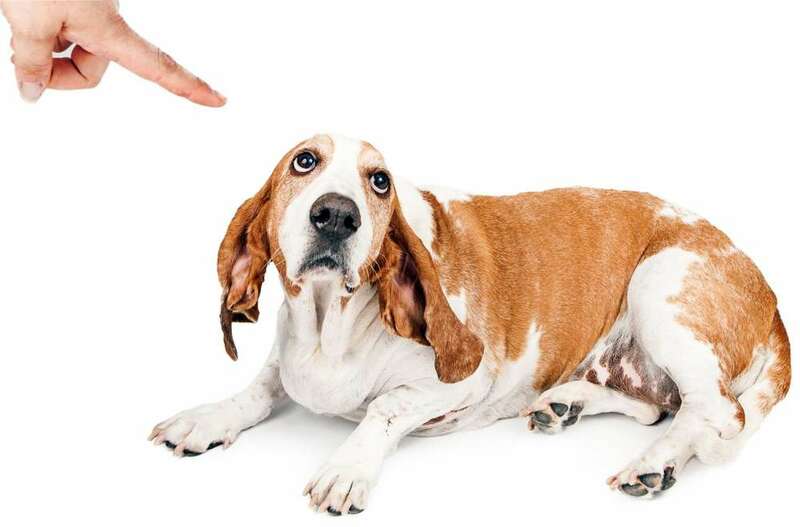 Dr. Horowitz’s 2009 study, “Disambiguating the ‘guilty look’: salient prompts to a familiar dog behavior,” specifically focuses on the concept of how humans interpret dog emotions through the scope of human emotion. More simply: Humans tend to misattribute dog emotions based on human emotions. The “guilty” look is a prime example of this. “I look at a dog showing the guilty look and it feels guilty to me. It does! We’re kind of wired to see it this way, so it’s nobody’s fault,” Dr. Horowitz told me in a recent interview. The look is distinct: The dog cowers, showing the whites of its eyes while looking up at you. Maybe it pins its ears back to its head, yawns, or licks the air. These are all characteristic signs of fear in a dog – signs that us humans tend to misattribute as guilt.